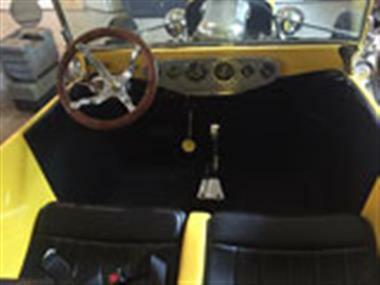 1923 Ford T-bucket in Chelsea, MI for sale. Price Analysis: Good Deal, 34.0 % below market avg. What's this? 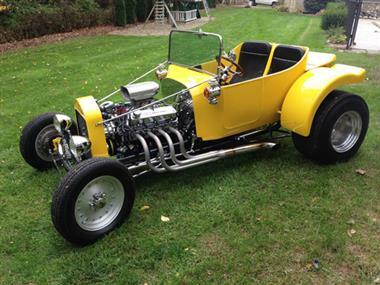 Ford T-Bucket. 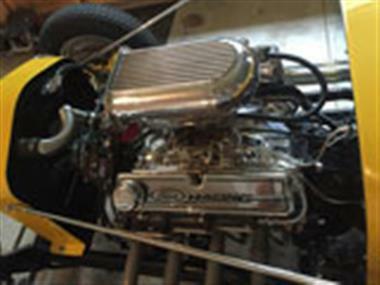 Frame off Restoration! powder coated black frame, all new total performance parts, new brake lines rebuilt calipers, new wiring harness and Stewart Warner gauges, QA1 ultra ride shocks with carrera coilover springs, rebuilt ford 9 rear end, with Micky Thompson sportsman pro 29x15.50R15 rear tires and sonar 165R15 on front, fiberglass seat inserts, fat bob fenders, and fiberglass deck lid, in corvette yellow all paint and body done by a professional body shop, rebuilt ford 302 with Edelbrock preformer RPM cam, lifters and roller rockers, Edelbrock preformer RPM aluminum heads, Edelbrock preformer RPM Endurashine intake manifold,Holley carburetor, ceramic coated headers and much more! i also have black leather top that i chose not to install. 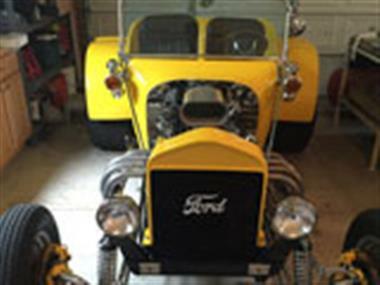 This vehicle is priced $6,763 less than the Average Market Price of $19,763 for a 1923 Ford T-bucket. This is a Good Deal as it's priced 34.0 % below market avg. The Pie chart below shows the number of ads within different price ranges.